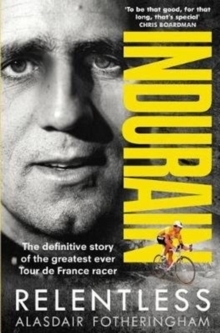 Luis Ocana seemed doomed to live in the shadow of cycling's greatest ever rider, Eddy Merckx - `The Cannibal'. Their rivalry defined Ocana's entire career, yet he was the one rider capable of beating the all-conquering Merckx in his prime. After an impoverished upbringing he flourished at the sport he loved and in 1970 secured his biggest victory on home soil, winning the Vuelta a Espana, and confirming his status as a Grand Tour challenger. 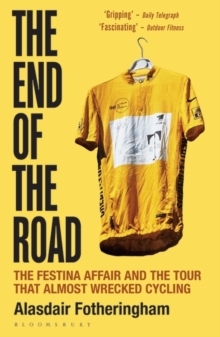 But it was in the 1971 Tour de France that the battle between Merckx and Ocana reached its peak when, at the Orcieres-Merlette stage, he inflicted on Merckx the worst defeat he would suffer in a major Tour, with an astonishing 120 kilometre solo breakaway through the Alps. 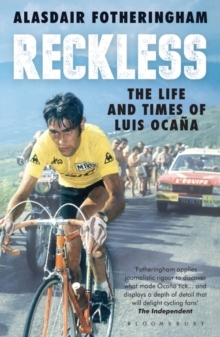 But then came one of most gut-wrenching crashes in Tour de France history when Ocana fell heavily on a Pyrenean descent, losing his leader's jersey, and with it his best chance of destroying Merckx's reputation of invincibility. In the midst of a torrential downpour, with minimal visibility, rider after rider crashed into the injured rider as he lay prone. The following day Merckx refused to wear the leader's jersey out of respect. It was only when Merckx was missing from the start-line in 1973 that Ocana became Spain's second ever Tour de France winner. If Merckx had been present, Ocana's chances of success would have been far slimmer. Further triumphs amassed before his swansong in 1976, but Ocana's decline in later life reflects the immense struggle he embraced during the height of his career. An enigmatic outsider to both the Spanish and French throughout his career - never truly accepted in either country - he died in mysterious circumstances aged just 48. A fascinating, complicated character both on and off his bike, Ocana's fierce determination, impetuosity and - some would say - recklessness created some of the most beautiful and gripping episodes in the history of the sport. This is the first ever biography in English of `the Spanish Merckx' who remains one of the most fascinating Tour de France champions.